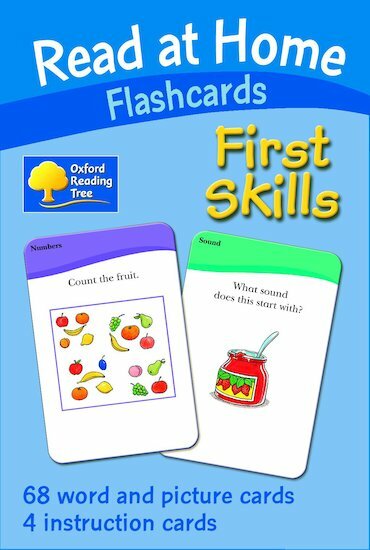 Gorgeous, chunky learning flashcards from the popular Oxford First Skills series, which supports new readers while teaching them all the everyday skills they need for life and for school: letters, numbers, maths symbols, shapes, colours and telling the time. Featuring favourite Oxford Reading Tree characters including Kipper, Biff and Floppy the big yellow dog, these bright flashcards are full of fun games to play and share. They’re a joy for children, and a lifesaver for busy parents who want to help them learn!